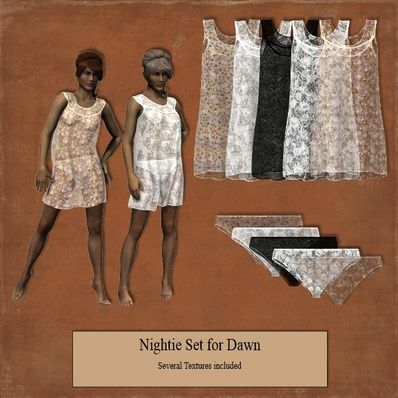 Nightie & pants for DAWN for use in Da Studio 4.6. Very clever, unique and well done outfit. This is really going to come in handy. The materials look wonderful on the preview.